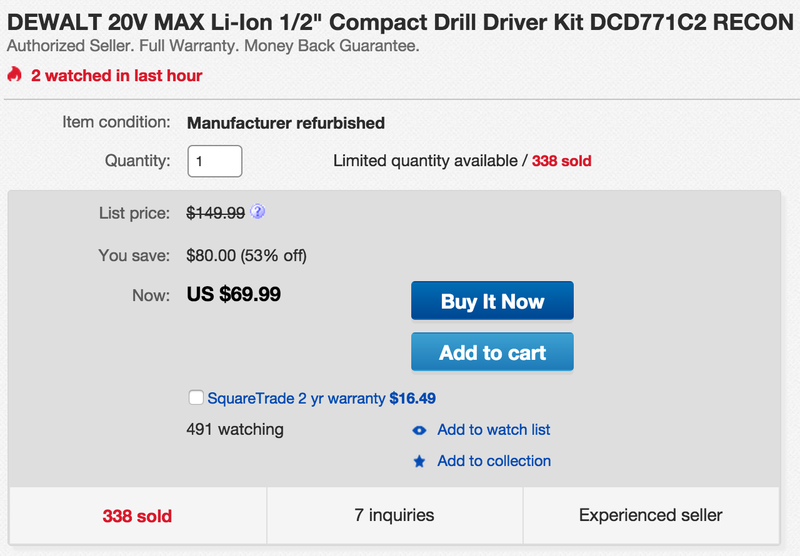 CPO (99.4% positive feedback in the last 12 months) via eBay Daily Deals has the manufacturer refurbished DEWALT 20V MAX Lithium-Ion Compact Drill/Driver Kit (DCD771C2) for $69.99 shipped. That’s more than $160 under the original price/Amazon, and the best refurbished price we can find from a trusted retailer. Perfect for everything from simple jobs around the house to much more involved projects, this 300 watt cordless drill features two speed settings, an ergonomic handle and a 16 position adjustable torque control. 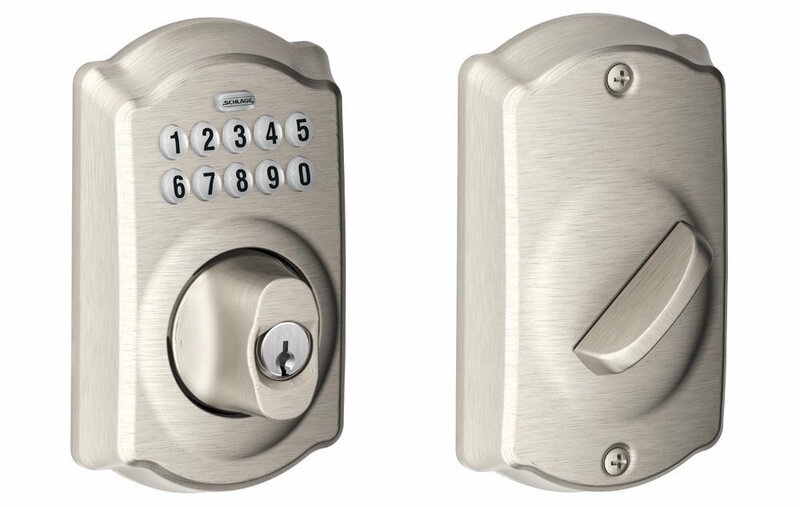 It has a 4.6/5 star rating from over 450 Amazon customers and comes with a 1 year limited warranty. Amazon is offering its Prime members (only) the 3-Piece T-fal Specialty Nonstick Fry Pan Cookware Set (A857S3) for $16.99 shipped. That’s nearly 50% under the original listing, the lowest they ever been offered on Amazon and the best we can find. 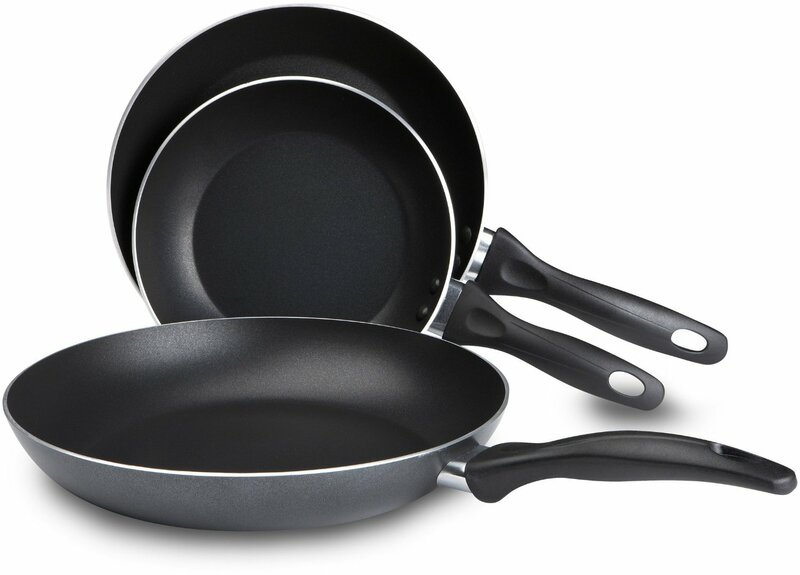 This set includes 8, 9.5 and 11-Inch non-stick fry/saute pans, all of which are dishwasher safe. The are the very best selling frying pans on Amazon and have a 4.4/5 star rating from over 700 customers.